Seeing as you’ve found your way to Petrolicious today, chances are high that you follow international motorsport to some degree—Formula 1, one of the various touring car series, the World Endurance Championship, there are a lot to choose form. 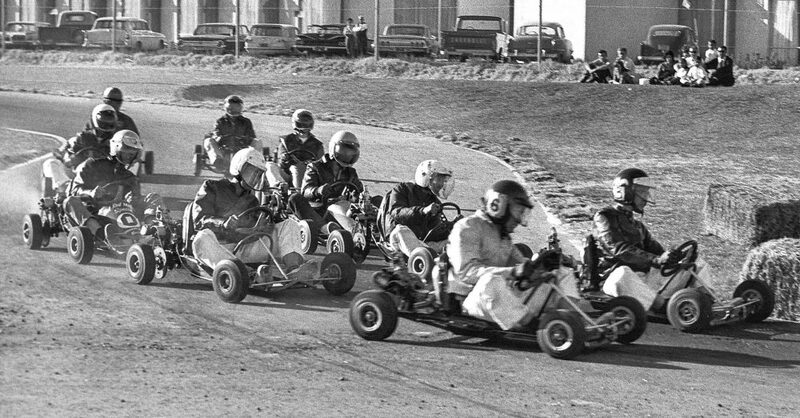 Regardless of the specific discipline, most of the top racers got their start in go-karts. The first rung they climb on the competitive ladder. 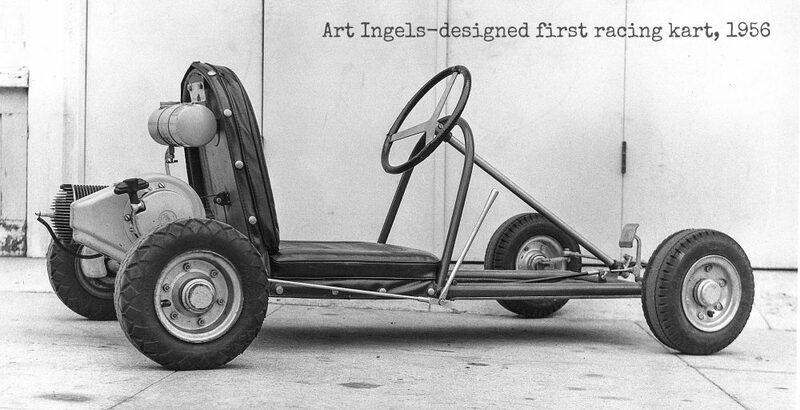 Ingles showed off his contraption in a local parking lot, which inspired his buddies to build their own machines, and soon Ingels and friends were holding impromptu races in the Rose Bowl parking lot. 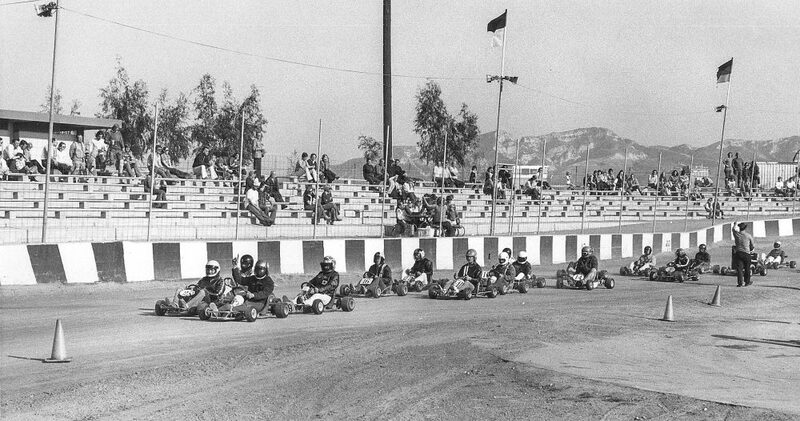 Two quick and nimble years later, the first kart racing track was built in Azusa, California. 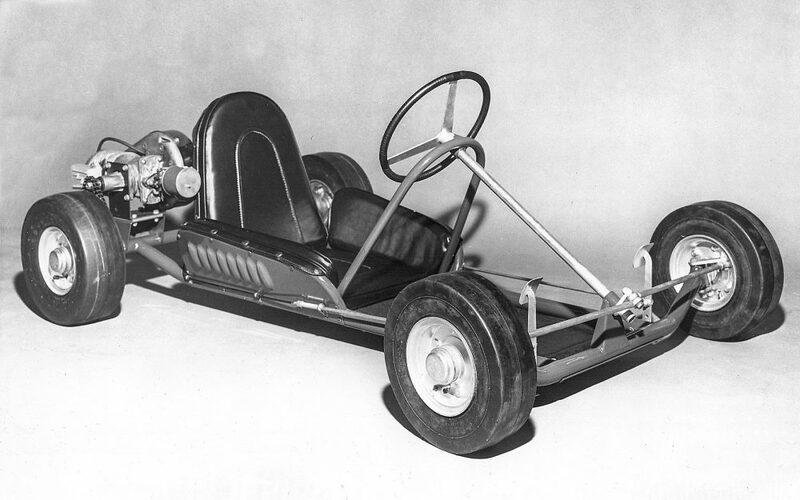 The term “go-kart” was coined by Duffy Livingston, a muffler-shop owner in Los Angeles, who went on to manufacture and sell the machines under the Go-Kart name—the first kart manufacturer. While Ingels may have built the first one, Livingston is credited with launching its popularity. 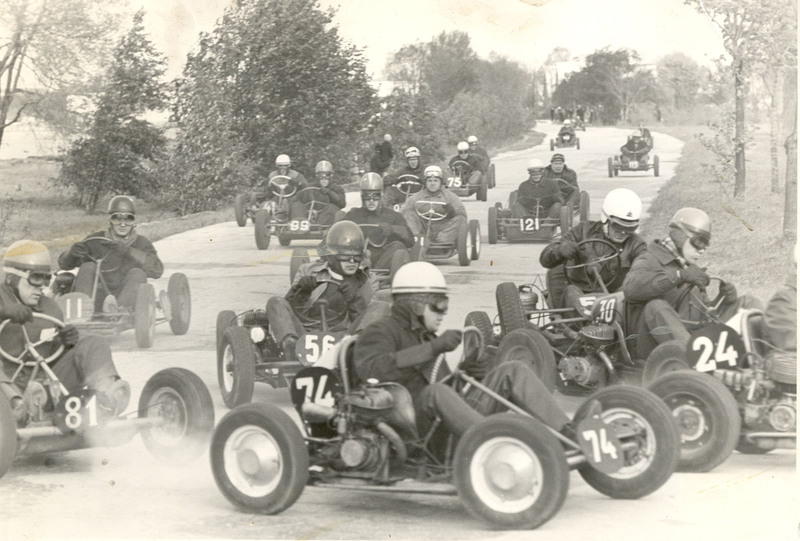 Kart engines, from the late 1950s through today, are typically two-cycle or “two-stroke,” which typically means they deliver serious power in a small package. 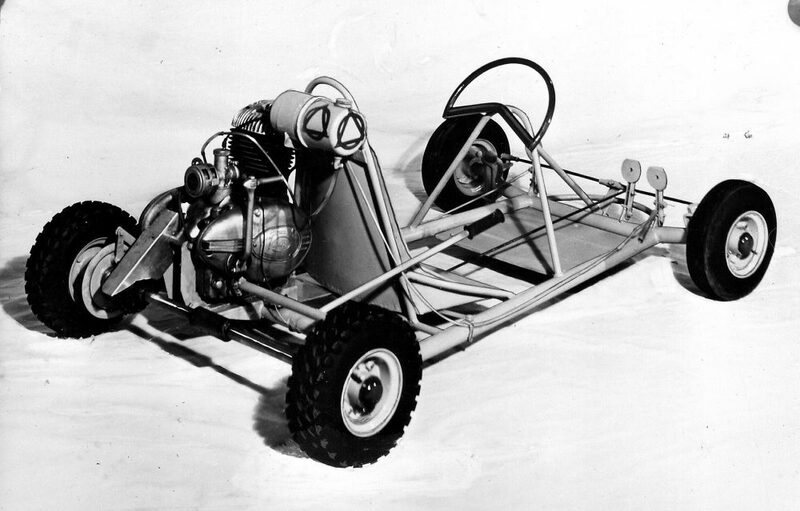 In 1959, a company called McCulloch—a manufacturer of two-cycle-powered chainsaws—was the first manufacturer to offer a dedicated kart engine. Other makers of two-cycle powerplants—Clinton, Power Products, and West Bend—soon joined the fray. 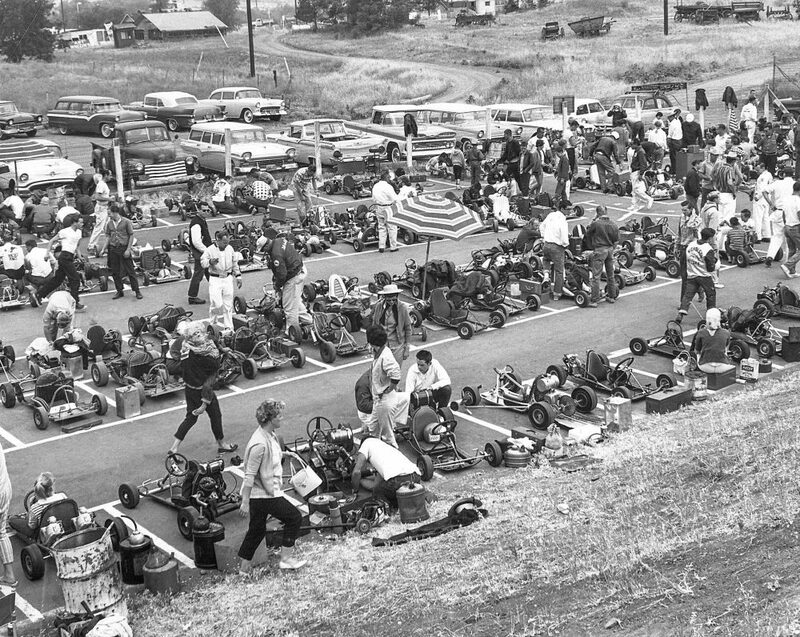 By the 1960s US servicemen had helped to spread the nascent sport to Europe, which saw the introduction of motorcycle engines (sans gearbox) before dedicated manufacturers, mostly from Italy, started to offer dedicated kart engines. These were companies like Komet, Parilla, and Saetta. 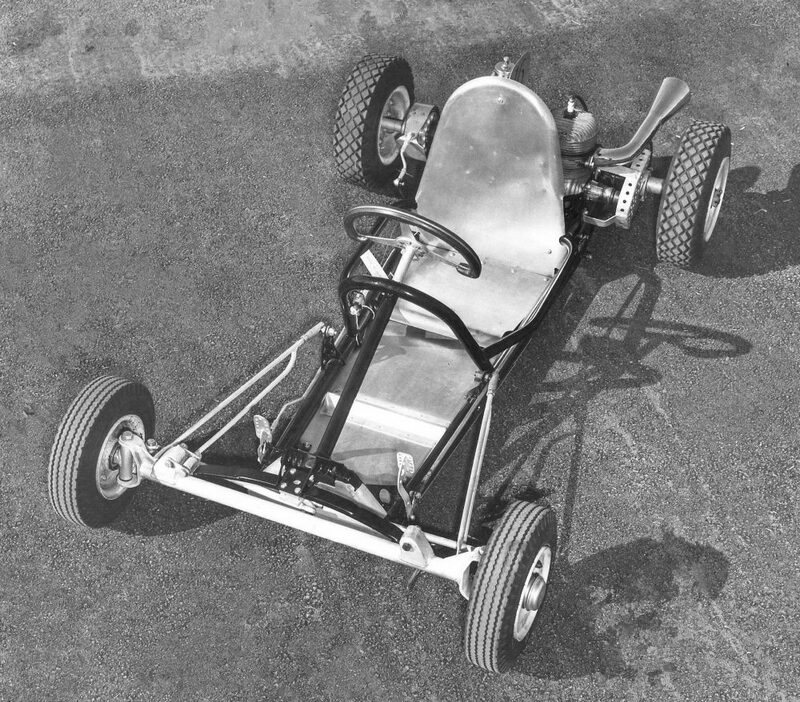 Kart design evolved during the late 1950s and early 1960s, but not much. Live (solid) rear axles and left-pedal-operated hydraulic disc brakes became the norm. 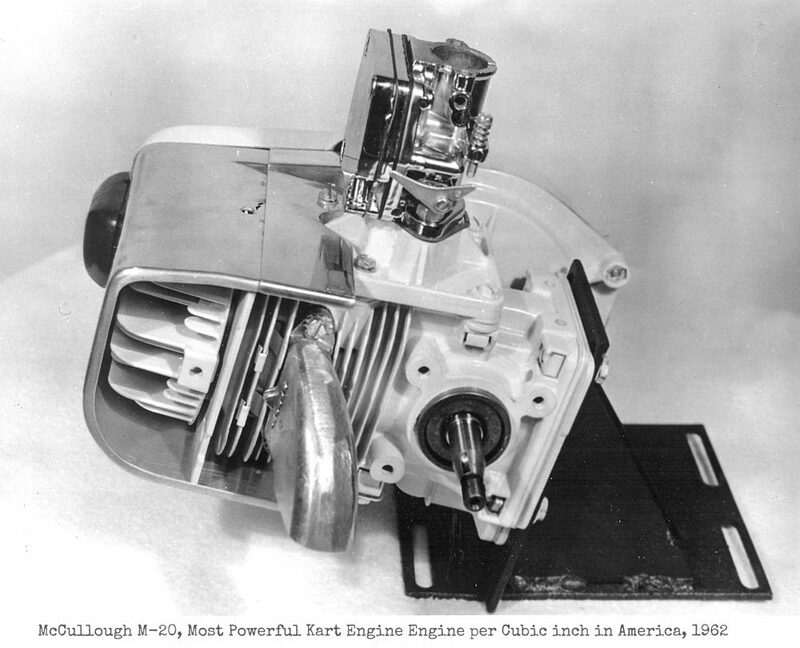 Centrifugal clutches removed the need for push starts. 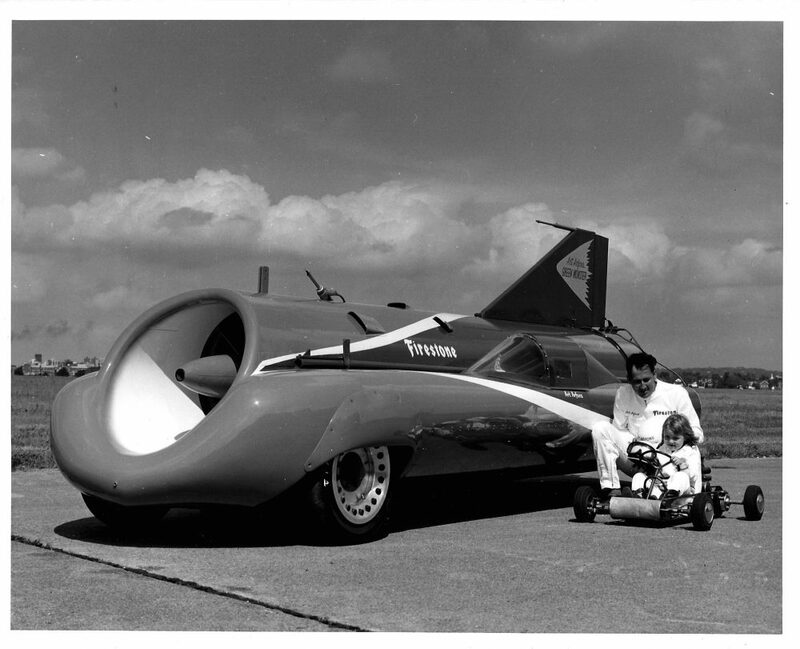 More engines developed more power, many running on methanol, and a few with a splash of nitro. The tires became wider and grippier. 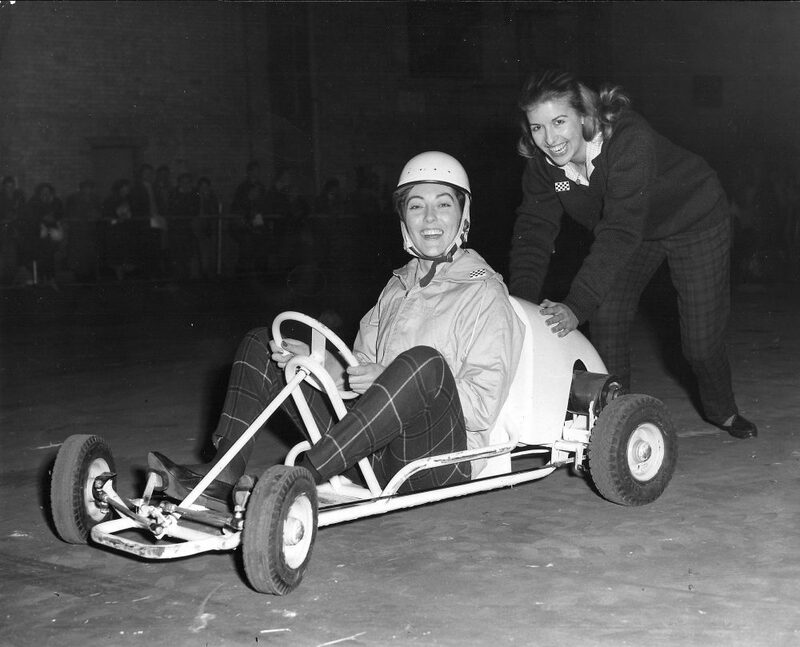 It didn’t need to get any more hi-tech than that though, at least for the casual driver, and karting became almost instantly popular thanks to publicity delivered by the motoring press, particularly the magazines Hot Rod and Rod & Custom. 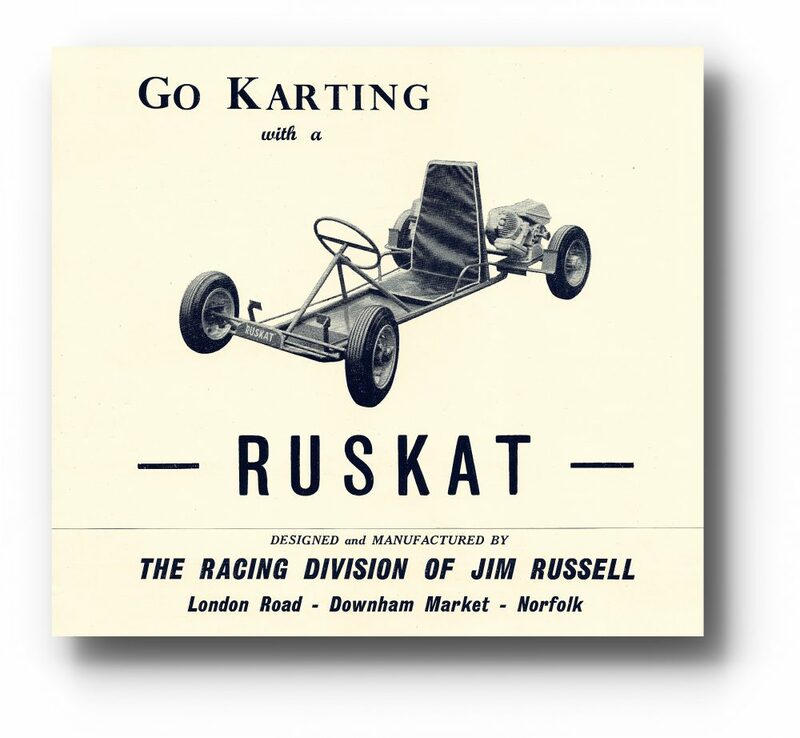 Kart-specific books soon followed. 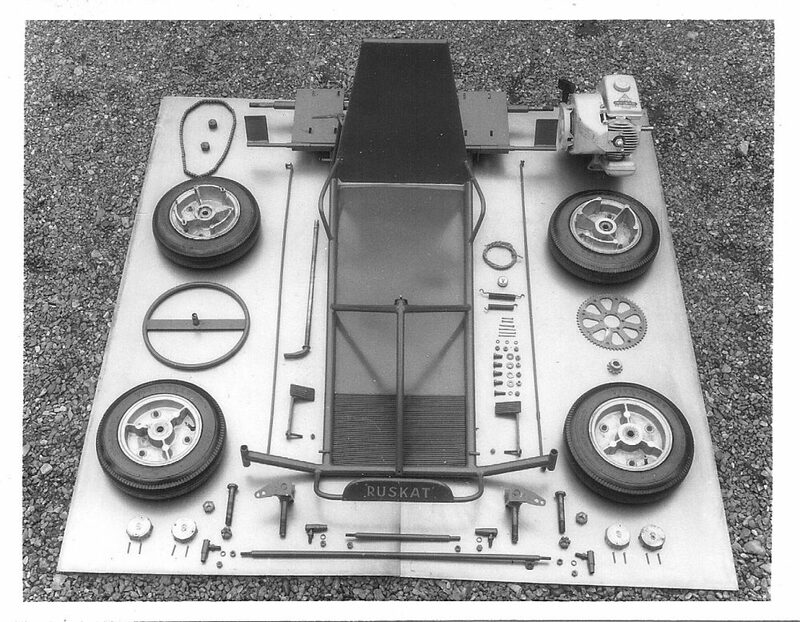 Chassis manufacturers sprung up seemingly everywhere. 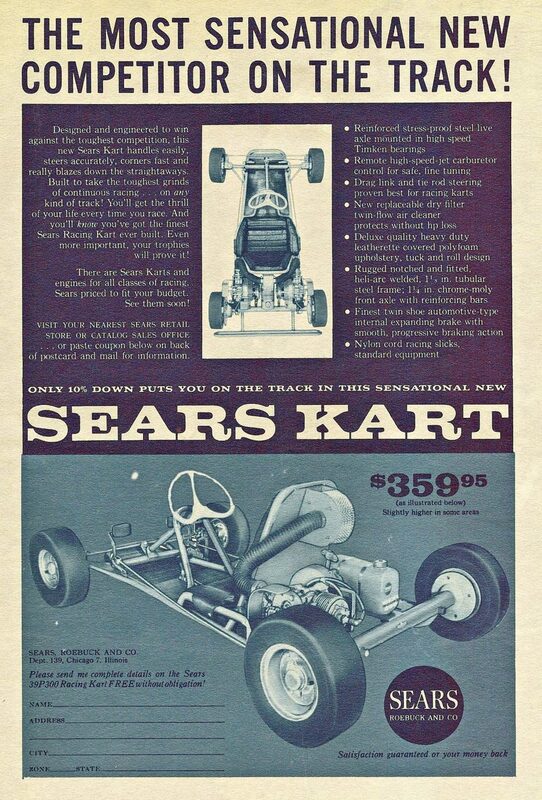 Sears and Montgomery Ward even sold karts by mail order. 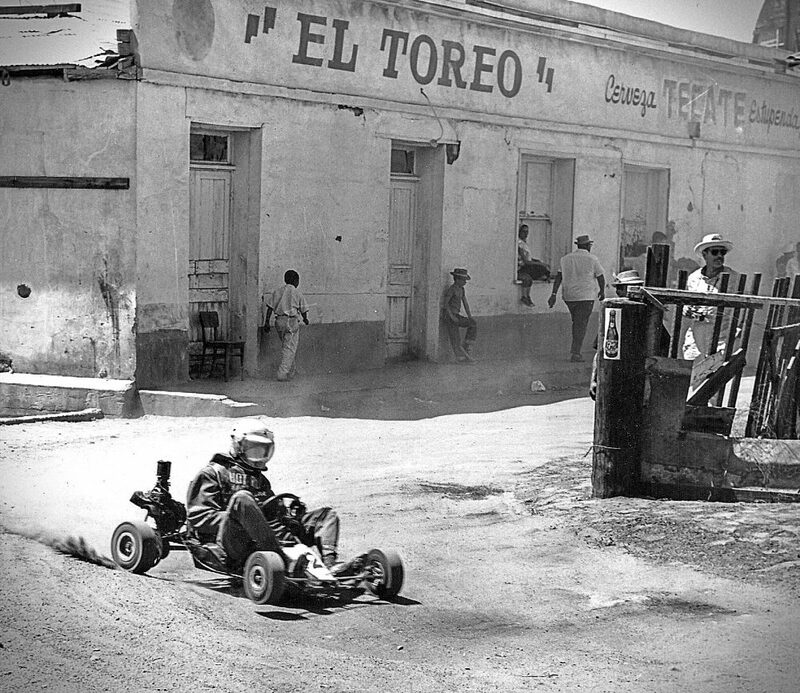 Meanwhile, new kart tracks continued to appear on undeveloped squares of asphalt all over. Popular culture embrace the phenomenon, as well. 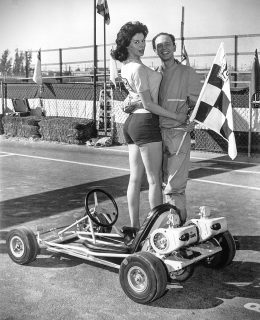 Karts appeared in movies, like Bikini Beach, starring Frankie Avalon and Annette Funicello. 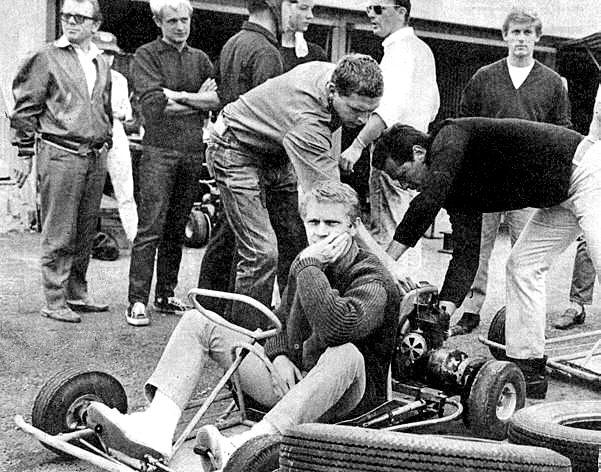 Other celebrities caught behind the wheel of a kart included Steve McQueen, James Garner, Roy Orbison, director Alfred Hitchcock, even The Beatles. 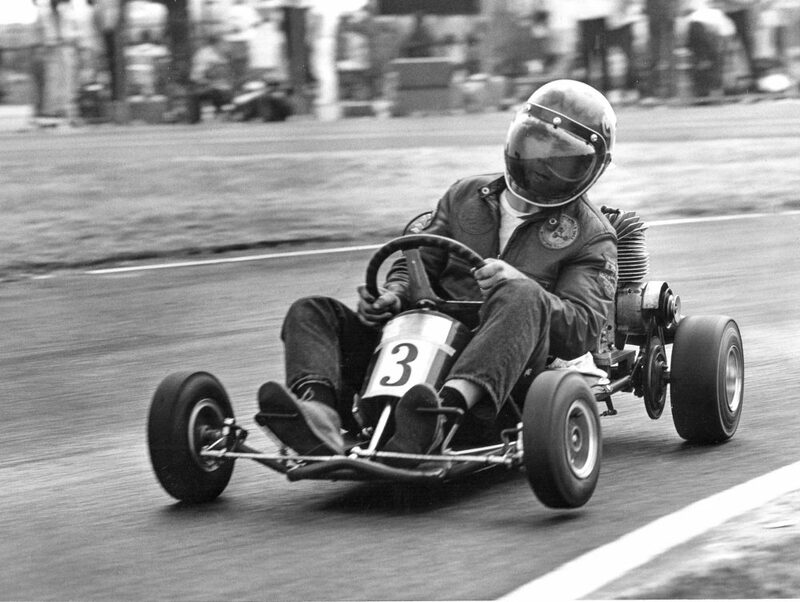 Eventually the “fad” of karting waned though, leaving the sport to develop as a serious form of motorsport. In the U.S., kart racing was first was managed by the Go Kart Club of America, and later by the International Kart Federation and World Karting Association. 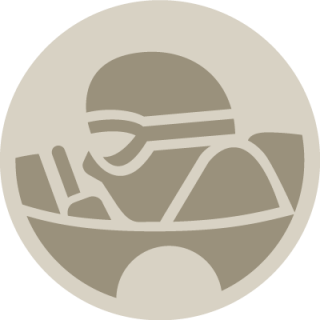 Internationally, karting fell under the domain of the CIK/FIA world governing body, which still oversees competition around the world, including the World Karting Championships. 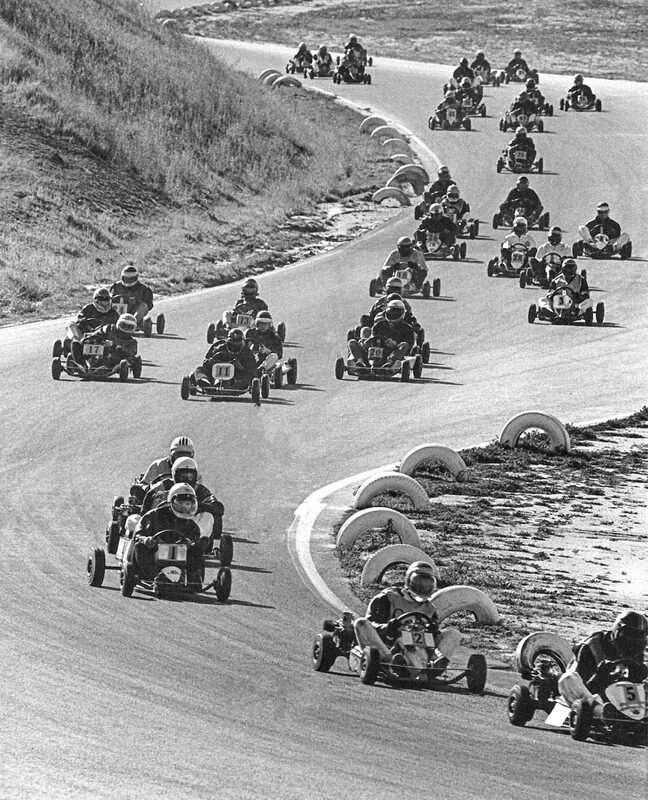 In the U.S., the IKF, WKA, and SKUSA (SuperKarts USA) call the shots. 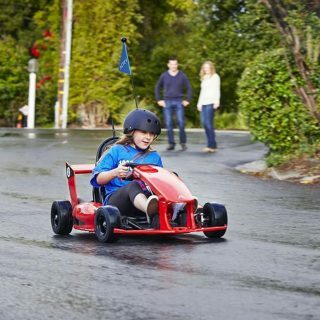 While they are small relative to so-called full-size racing, you’ll need quite the large set of skills to build, tune, and drive a go-kart successfully. 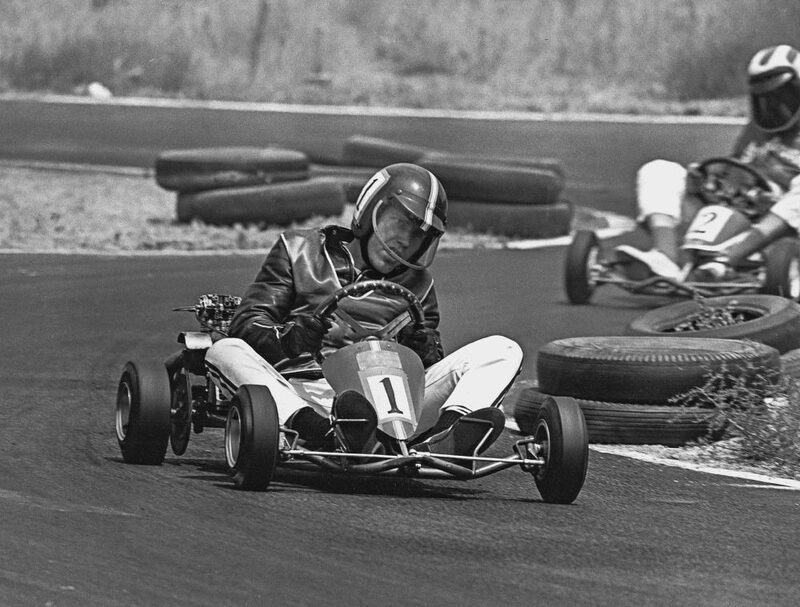 Race craft, passing technique, and car control can all be developed in karts, thanks to quick steering, direct feedback, and hours and hours of affordable seat time, and as such the competition among future F1 champs is extremely high today. 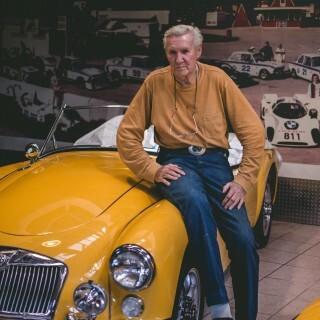 But it all began six decades ago on a side street in a suburb in southern California, when an Indy car artisan whipped up a small four-wheeled diversion. 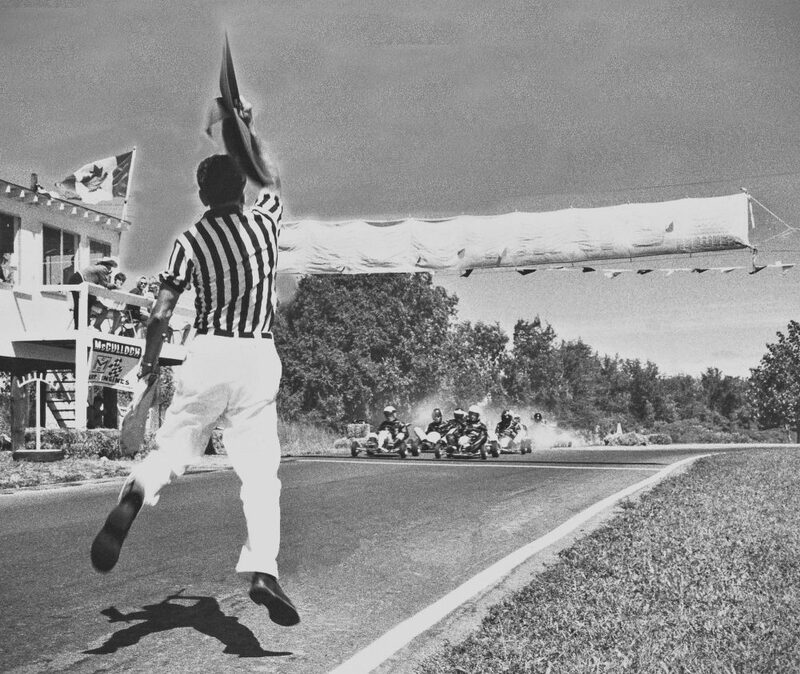 The world of motorsports hasn’t been the same since. Wow! 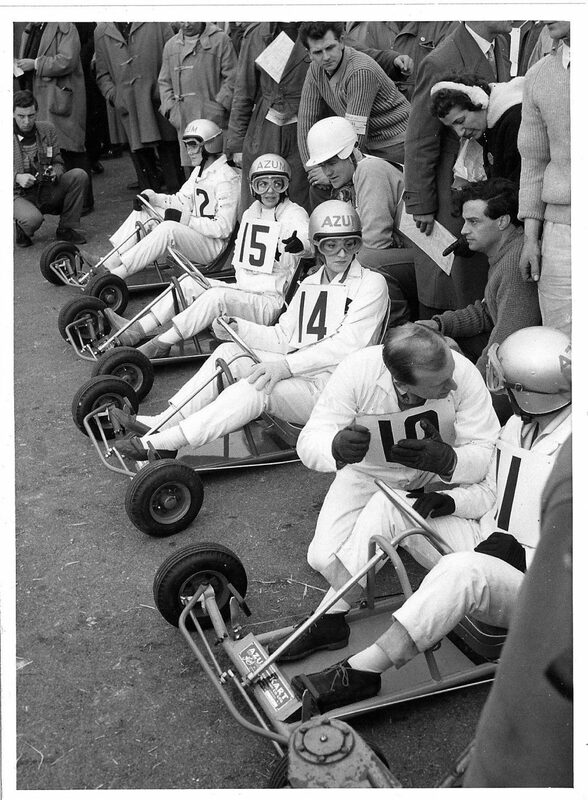 That’s me ( Jim Walter of Elyria, Ohio) in the #1 kart at Adams Kart Track during the 1967 IKF Sprint Grand National Championships. 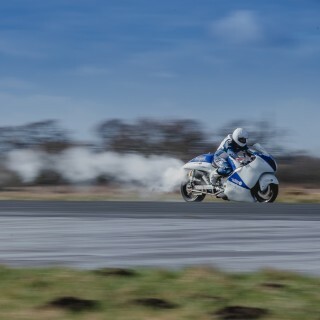 I was the defending national champion from 1966 in A Open Heavy and A Open Light. 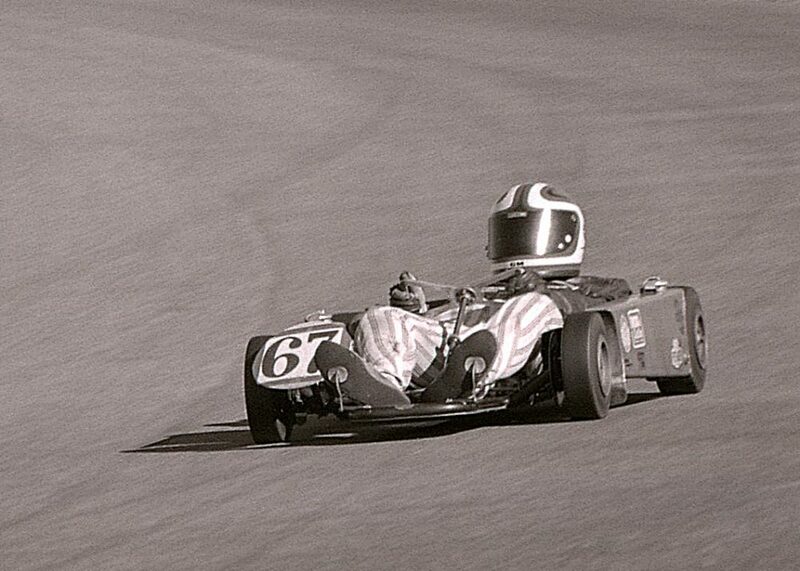 The #2 kart right behind me is Bob Alman of Los Angeles, California. This really brings back memories! Thanks so much for putting this together. Tom Medley was a talented artist and author who, I believe, penned and drew “The Hot Set-Up” logo for Earl Larson of GEM Products fame. 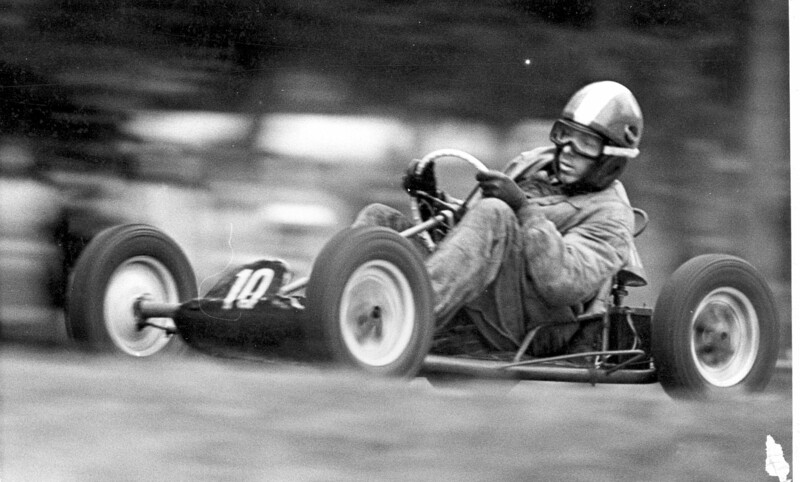 Looking back to see the long history of racing in the past and now have a change of pace. 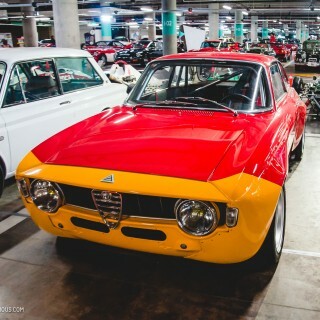 When they were old cars, today they are high speed cars. in the F1 race. 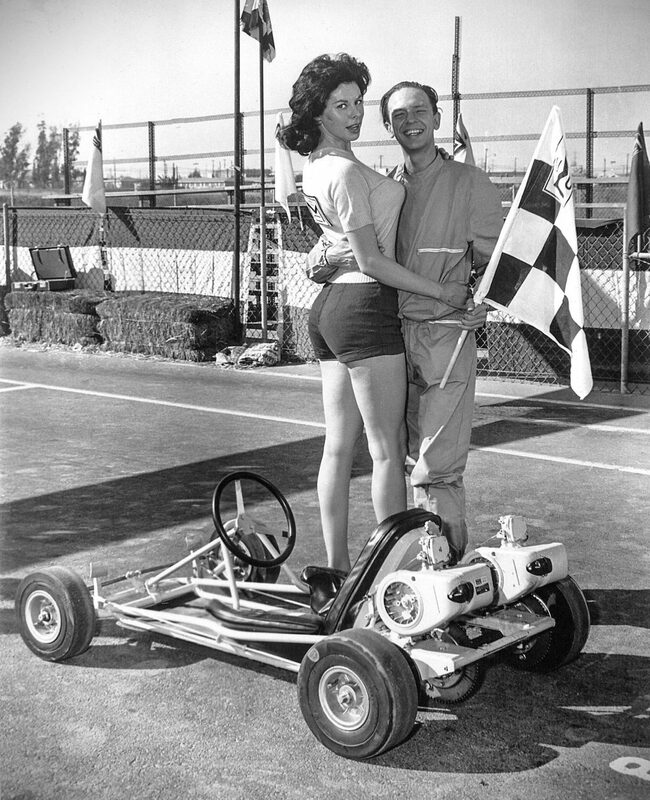 Is that Don Knotts wis checkered flag girl? It sure looks like him!!! 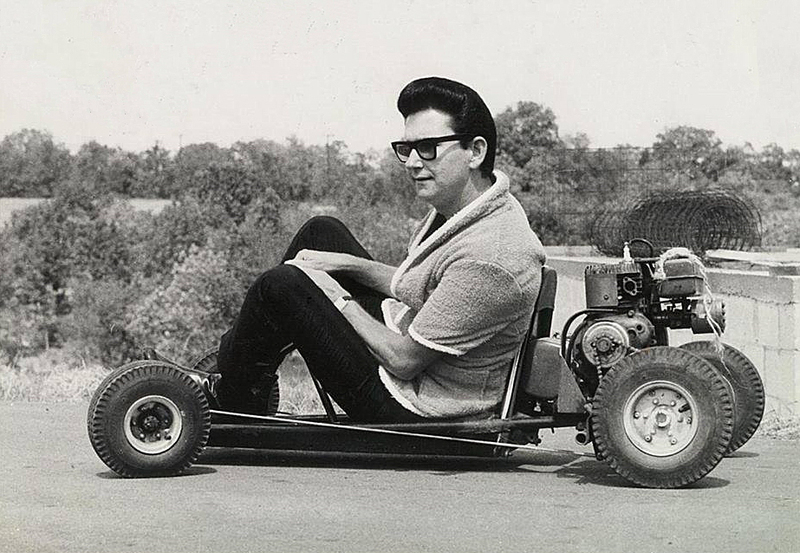 Who could ever forget the sound of a twin McCulloch-powered kart at full noise ! 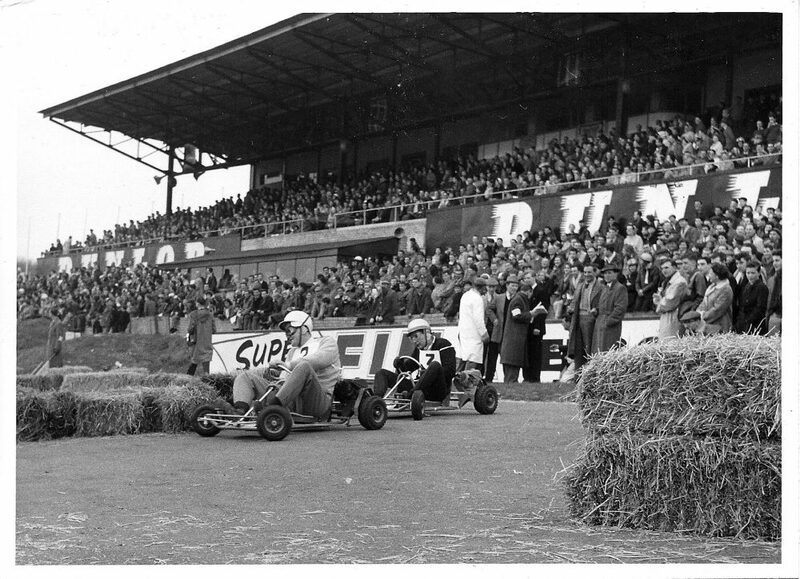 Great little article with some equally great Tom Medley photos. Brings back memories! 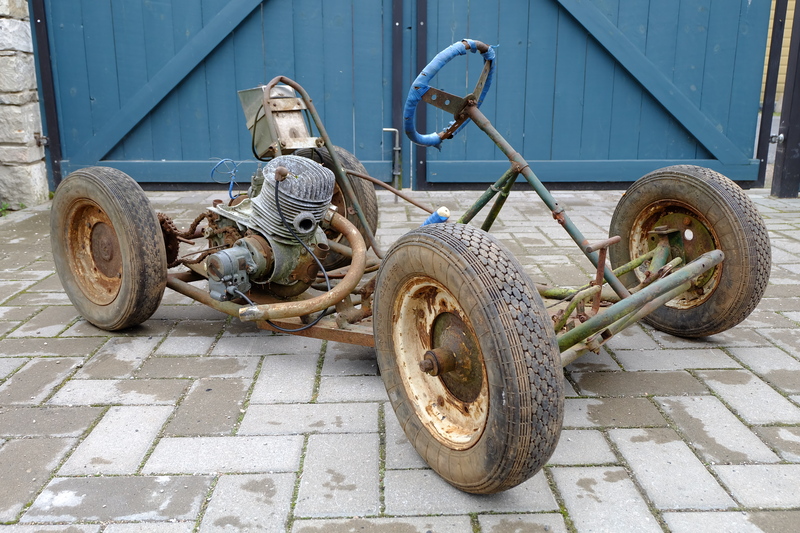 I own one of the earliest Karts built in the beginning of the 60s in the former Soviet Estonia. Soviets declared a lot of inventions in their own bubble that allready existed on the other side of the iron curtain. 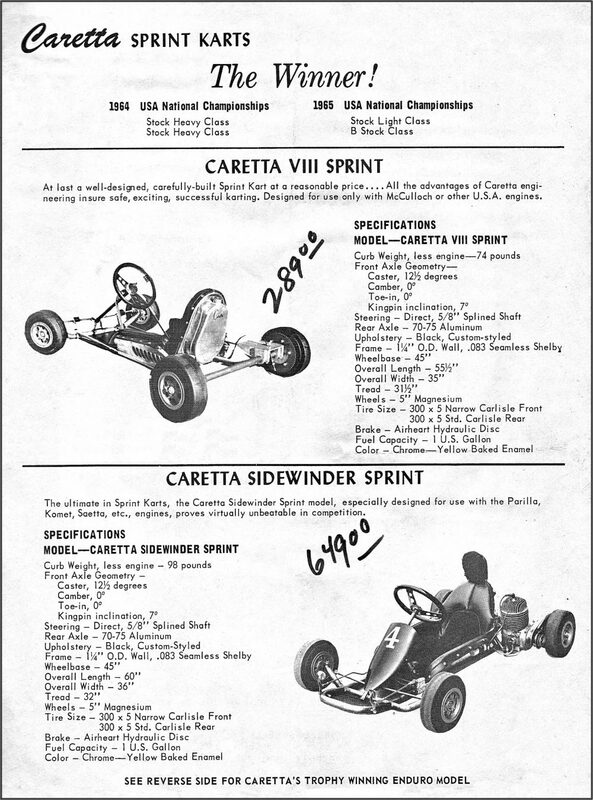 But when I remember correctly, the first Karts were built according to the drawings published in Popular Mechanics. How do they got the magazine, no idea. 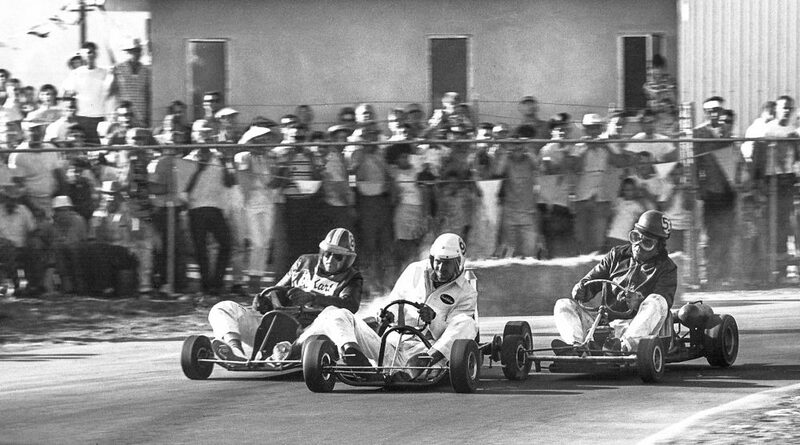 The karts were all handmade, usually by the drivers themselves. 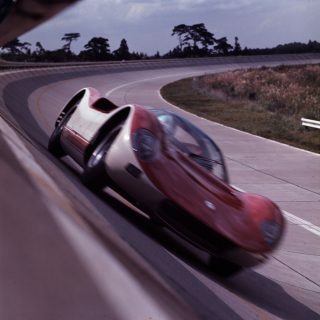 From the old days, the years of the previous century, the sport was born out, and the car of that era is similar to the equipment of the present. Good article. 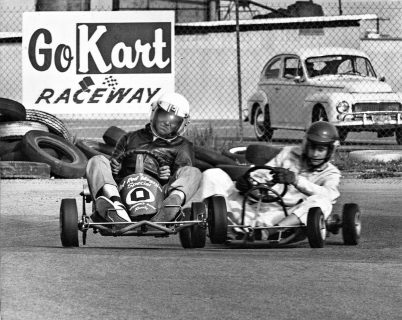 Go kart racing was one of my favorite memories as a kid. 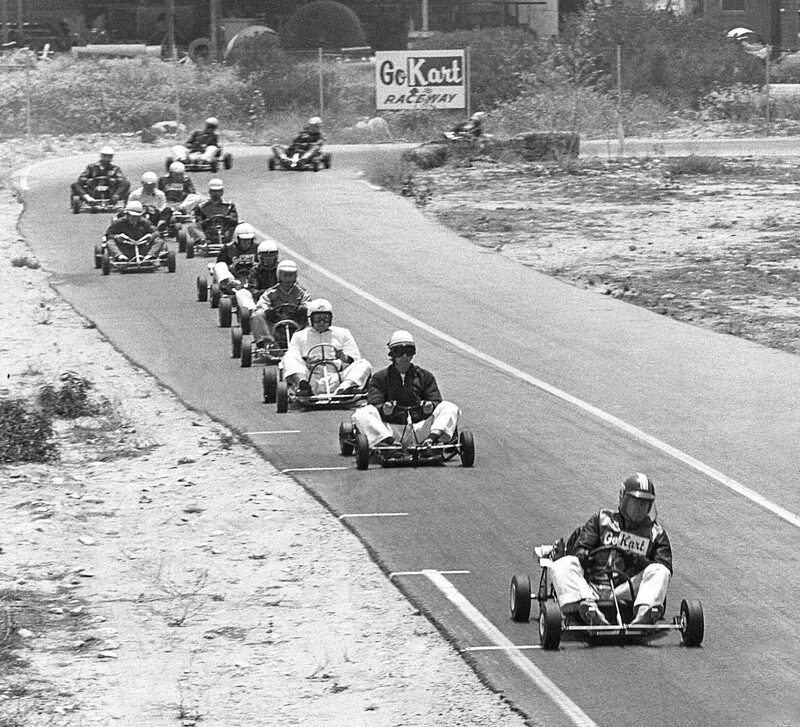 I remember going on family vacations in Gatlinburg, TN were the streets had multiple places to race. We would go every year. Sometimes I would ride with my dad and other times I would drive by myself. They told us not to bump each other but my dad and I both knew we were going to try and wipe out one another. My dad always won. Great history report brings back some good memories!